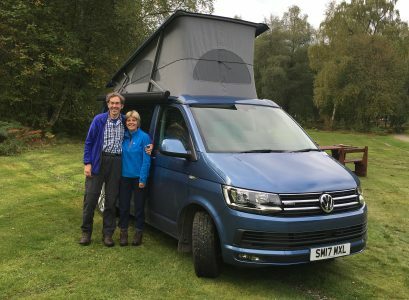 Howard and I are starting this blog to allow friends and family to follow our year long ‘Gap Year’ adventure around Europe in our VW Campervan ‘Oscar’. We hope you enjoy it and are able to share our travel experiences. We wait with bated breath……..! !